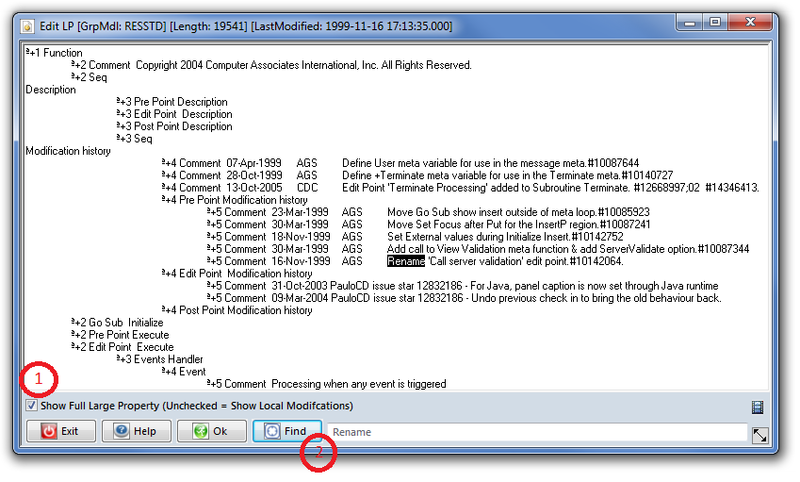 "Edit" large properties is restricted to host model Topics, Messages, Source Code, Label, Value objects as allowing editing of Panels, Functions, Reports, Diagrams was felt to be too risky outside of CA Plex IDE. 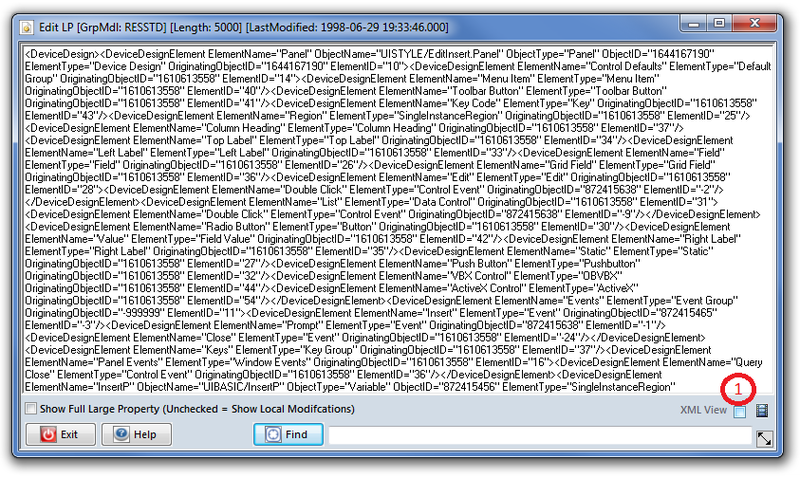 An Enhancement Request has been submitted (20034239-1: RUN ASSOCIATED EDITOR) to CA for a new model api method to run the associated object editor but we will have to wait and see on that one. 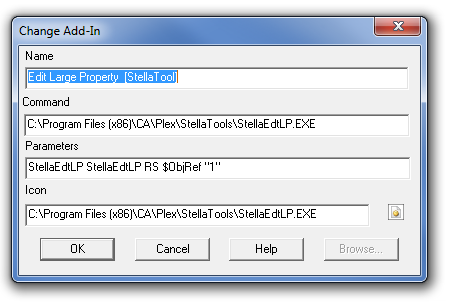 This allows you to launch the tools from CA Plex. For Object Browser Integration the client application must be registered as a Plex Add-In with certain macros used to specify how the selected objects are to be passed in as parameters.